Ottawa – “Canada has made obligations under international agreements to in no way support torture, and has made public statements to that effect. This includes when it comes to information and intelligence linked to torture,” says Tim McSorley, the ICLMG’s national coordinator. “The Liberal government has issued new directives on the collection, request and use of information tied to torture that, while they go further than previous rules, still do not meet those obligations,” he adds. That the limit on the sharing and requesting of information is still set to whether there was a “substantial risk” of torture. This is the same threshold as previous directives, and remains too high a limit for rejecting certain kinds of information. That even where a substantial risk of mistreatment is present, mitigating factors such as assurances and caveats can still allow for the sharing or requesting of information. There is no information on how those caveats and assurances are enforced once information is shared or requested. That, regarding the use of information that was likely obtained through the mistreatment of an individual, the government only lays out three situations where this information cannot be used – leaving open other potential uses, such as initiating further investigations, developing profiles, or perhaps even placing them on the no-fly list. That there is a lack of direction around the retention of information: For example, if information that was likely obtained through the mistreatment of an individual is provided to the government in an unsolicited manner, would that information be destroyed, or would it be retained for future potential use? That, as in other reporting on national security issues, what will be shared publicly will not be enough to ensure true accountability and transparency in how information is shared, requested or used. That information requested or shared by the Communications Security Establishment (CSE) is not covered by these directives. The ICLMG welcomes the government’s more explicit wording in the directives regarding its opposition to the sharing, requesting or use of information that was likely obtained through the mistreatment of an individual (although policies must be amended to support that wording). The ICLMG welcomes the elimination of “substantial damage or destruction of property” as an exception allowing the use of information that was likely obtained through the mistreatment of an individual. The ICLMG welcomes the clearer responsibilities for the affected agencies to report on their use of this kind of information to the Minister and to the appropriate review bodies. The ICLMG also appreciates the openness of the government in releasing these directives, allowing for public scrutiny, discussion and debate. These improvements, though, do not account for what the ICLMG sees as the continued weaknesses in Canada’s policy on information sharing with foreign entities. “We must be clear: so long as governments are willing to share, request or use information likely produced from mistreatment – even in exceptional circumstances – they are contributing to the value and propagation of this information on the international stage,” says McSorley. As the government itself notes in the new directive, information obtained through the mistreatment of an individual – especially in instances of torture – is known for being unreliable. 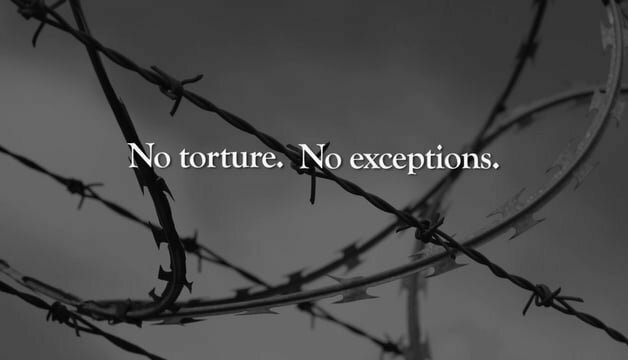 The prohibition of torture is such a categorical and un-ambivalent principle that the only acceptable directives regarding the sharing, requesting or use of information is that it is guaranteed to not have been obtained through torture, or will not lead to torture. On multiple occasions, the ICLMG has expressed its concerns to the Minister of Public Safety and the federal government, along with its willingness to discuss these directives. We believe that a direct consultation on these directives with the minister before their publication could have helped address some of these concerns, and we continue to offer to meet to help strengthen them in the future. This entry was posted in News from ICLMG on 25 September 2017 by ICLMG CSILC.